/ Mohd. Adib Aziz: I Almost Sold a Murder House! Nothing can beat the feeling of selling your first property. Ask any agents and they will tell you that the feeling is priceless. As for Mohd. Adib Abd. Aziz, that wasn’t the case. He was relieved that his first transaction as an agent failed. “I almost sold a crime scene!” he exclaimed while reminiscing his experience of getting his first listing as an agent. “After shifting careers, many have given me support by suggesting me a couple of listings to kick start my new career as a realty agent. Then along came this landed property located in Ampang, which was suggested to me by a friend. I managed to get the listing, and lo and behold I even got an interested buyer soon after,” recalled the Kuala Lumpur lad. According to Adib, the buyer was extremely keen in the property. She had no qualms in providing the booking fees along with the down payment for the house. “The only problem was the property was partially under the care of Amanah Raya (a trustee company) along with its custodian, which was the seller. The owner, who was the wife to the custodian, died without leaving a will. Hence, I needed clearance from Amanah Raya in order to get the transaction done,” said Adib. While waiting for the long and winding release process to be over, the buyer managed to rent the place for her son upon the custodian’s consensus. “I needed to know why and that led me into asking her. Her reply shocked me. She told me that her son was often disturbed or ‘kena kacau’ while living in the house! And given how IT savvy kids are these days, her son Googled the house address and found out that it was once a crime scene! A woman was tragically murdered there. Her body was wrapped and hid in the master bedroom’s closet, which was his bedroom!” said the father of one. Adib immediately did his own investigation and to his surprise, the murder had generated massive publicity years back. Ironically, the prime suspect was the custodian himself! He definitely did not see that coming. “There wasn’t any evidence to convict him to the murder and hence he was freed. But whatever that had happened, I was glad that the transaction did not go through. 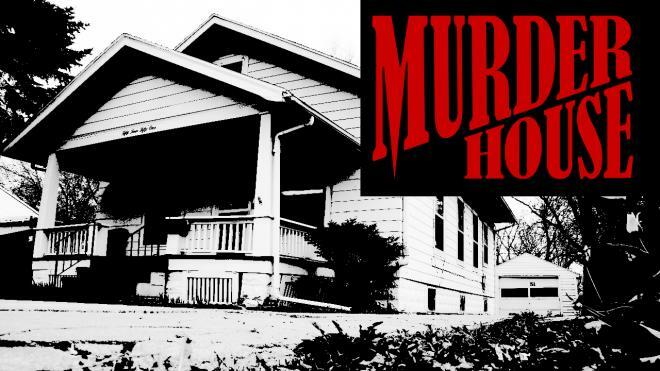 I wouldn’t want to live with the fact that I sold a murder house!” he added. This colourful character was once a banker before turning into an agent in 2013. “I was in the banking industry for years and we all know how the industry is like. Stressful! My physician eventually told me that I was extremely stressed and I needed to ease it a little. That triggered me to quit my banking profession,” said the 35-year-old, who used to work with Standard Chartered and Al Rajhi Bank. With years of experience as a banker, Adib has dealt with countless of mortgaging related matters among agents and their clients. Such scenario has given him a better grip on the art of property transaction. But he soon realised that there has been a common error practised by most agents then when it comes to financing properties. “Agents need to know their clients better. Vet through their financial backgrounds even before making appointments or showing them properties. I have seen situations where clients or buyers would have their loans rejected by the banks without their agents being aware of their financial background,” he explained. Breaking the ice matters to any property transactions. Adib firmly believes that getting to know your clients better would work wonders in getting their dream homes as one’s clientele can be eclectic and diverse when it comes to needs and wants. “I would constantly advise them even if they are yet to make any purchasing commitment with me. Showing your concern and do what you are able to do for them would garner their trust. They will come back to you when the time is right,” he explained. Besides that, being a ‘property negotiator’ would also include giving buyers alternative means and ways to own a property especially when they are cash strapped. “If they are buying something slightly beyond their means, I would try to advise them to apply a joint loan with their spouse or to obtain proofs of additional incomes such as rental or even savings like ASB. This could help them in increasing their chances of getting their loans approved,” says the agent who is now with Mitra Valuers and Property Consultant. In the end of the day, Adib, who is the co-founder of Muslim Group Negotiator believes in serving the people with passion. “Despite the turbulence and challenges, you will not stop or get dishearten by such obstacles because of the burning passion that is inside of you. That passion will ensure your longevity in this business,” he concluded.